This week we've got a unique designer and illustrator interview to share with you as part of our SpoonChallenge: Creating a Collection with Bonnie Christine. She attended SCAD, she hails from Brazil, and her name is Sarah Watson. 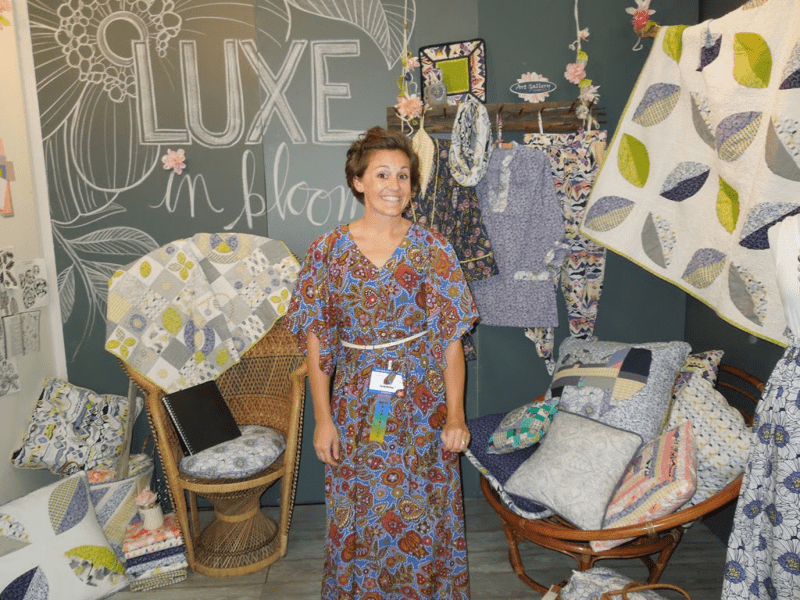 Sarah has done everything from wedding calligraphy, children's book illustration, and packaging design, but her true interest is still, and will probably always be, in textile design. Now, let's delve a little further into Sarah's creative process, her greatest fear (hint: velociraptors), and current aspirations! Are you a budding textile designer looking for tips and tricks for creating a fabric collection? Perhaps you’ve mastered the art of surface design, but still struggle with crafting a cohesive set of patterns. WHAT: We’re thrilled to announce a new SpoonChallenge together with our friend Bonnie Christine–Creating a Fabric Collection! For four weeks starting July 6th we’ll be sharing everything you need to know to design the most beautiful fabric collection. HOW: All you have to do is follow along each week to learn a new skill or technique! Sign up for a weekly email full of everything you need to know to get started, or follow along on the blog. Snap a picture of your progress and use the #SpoonChallenge hashtag each week to share what you’re learning. You can use this hashtag on any social media site (or just hashtag in your heart and keep your creations to yourself!). Show off your new skills by entering our upcoming Butterfly Coordinates Design Challenge. The winner by popular vote will take home $100 in Spoonflower credit and a special surface design prize pack! Deadline for entries is August 11th, 2015. For more information visit our upcoming contests page.